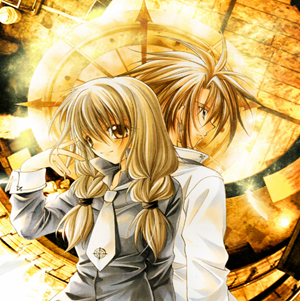 Spiral: Suiri no Kizuna/The Bonds of Reasoning started out like a typical juvenile murder mystery, but soon shifted direction to a psychological suspense pitting a bunch of deadly teenagers trying their darnedest to outsmart each other. Sort of like Death Note, except more repetitive and somehow even less believable despite the lack of magical killer notebook. The manga (and the anime, which was a partial adaptation) revolves around Narumi Ayumu, younger brother of a genius detective and pianist. Haunted by his brother’s mysterious disappearance, Ayumu then encountered a series of mysterious murders committed by a group of teen killers called the Blade Children. 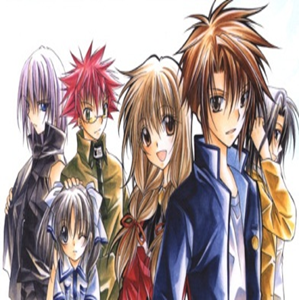 This group is also connected to his brother, who was pretty much an all around awesome dude that always made Ayumu feels inadequate. Therefore, Ayumu’s clash against the Blade Children also marked a struggle for him to surpass his awesome missing brother. 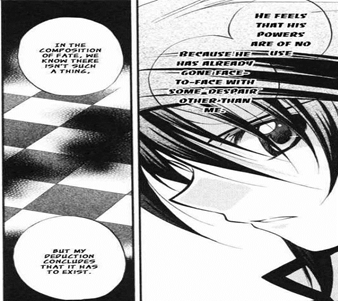 …did I mention that Ayumu has a missing older brother whom he felt inferior to and need to surpass? Well, they like to remind you of that, just in case you somehow forget. They also really like to have a bunch of scenes where the characters recap the situation and throw excessive purple prose at each other, oftentimes seem like an exercise for writer Kyou Shirodaira to see how many stock key words (e.g. “light”, “truth” “darkness”, “hope”, “despair”, “fate”) he can squeeze into a single conversation. To be fair, those issues only become obvious some way down the road, as Spiral started off relatively action-heavy with a few stand-alone mysteries before leading to a series of mind games between Ayumu and the Blade Children. The murder mysteries are nothing particularly noteworthy or complex, but the main course of this series is really the mind games, which mostly consisted of traps, counter traps, and characters trying to outguess each other. Which sounds awesome, but apart from one or two examples involving math and logic, they’re not terribly interesting to see. Gaudy instruments (bombs! killer bees! more bombs!) are often used, the characters made things so unnecessarily complicated by over-plotting and over-explaining everything, and the whole thing’s often decided by the ‘winning’ character practically being a clairvoyant who can see what their opponent’s doing in, like, ten steps ahead. Another part of why the deadly psychological battles couldn’t really work for me is the tone conveyed by Eita Mizuno’s artwork. While the character design are very accessible with abundance of pretty boys and cute girls with huge round eyes, they look like they belong more in high school rom-com setting rather than the mostly serious (or at least, trying to be serious) and dark subject matter of Spiral. The art also struggle to conjure any sort of atmosphere or tension, which is sort of a problem in a story where the characters are frequently doing stuff like defusing bombs or having a shootout. The amount of punches being pulled early on doesn’t help, and neither do the occasional awkward attempts to lighten the mood (“This is indeed a very grave development with catastrophic implications…. so,I guess you prefer older women who’s cool on the outside but cute on the inside?”). At the least, the manga’s pretty much free of egregious gags or fanservice-y moments. All that said, this really isn’t that horrible of a series. Ayumu is a strong protagonist; granted, he appeared to be the sort of ‘ideal husband material’ (genius, caring beneath the aloof exterior, great cook, great pianist) type of lead guy who only exist in fiction, but he does have glaring weaknesses and moments of vulnerability that prevented him from being a complete Gary Stu. As annoying as the oft-repeated older brother thing was, it’s an effective catalyst for Ayumu’s internal struggle and his eventual arc, and it’s also interesting to see his relationship with lead female character Yuizaki Hiyono. The final stretch of the manga is still riddled with increasingly tedious dialogue and also slows down in pacing, but the story does become more interesting as the big revelations are made and Shirodaira finally stop pulling his punches. The ending in particular, goes into a direction that I don’t expect at all (in a good way), and carries thematic pay-off that could be worth the slog through all the dialogue and unconvincing set pieces. I still don’t really like it due to the aforementioned problems and how a lot of its 15-volume run feels like padding, but majority of people I’ve seen reading this are really into it, and I could certainly see fans of psychological shounen enjoying Bonds of Reasoning’s pile-up of twists and surprises (*as long as you could stand to suspend your disbelief a lot and endure plenty of redundancy). After I read Spiral vol 1-? (I can’t remember which volumes), I think this is just normal detective manga so I am not interested about this manga so much. But the drawing is good but not great in vol 1-? However, I still read it and mangaka made me surprised completely. 1) His drawing skill was developed in another level. I can’t believe he/she can improve skill with the lightning speed. 2) The story is the one I am surprised more than drawing skill. It’s like evolution for me. Hi there, thank you for reading and commenting. Yeah, they ditched the episodic juvenile detective format quickly, I think it’s around volume 2 or 3. Can’t say I really love the art style or the manga as a whole, but the eventual direction and ending did surprise me in a good way. You may want to check out Blast of the Tempest if you haven’t already, made by the same author after this one. Really? I don’t know Spiral and Blast of the Tempest author is the same person. Yeah, different illustrator, so people usually don’t notice that. Shirodaira focuses on the story and collab with different illustrator for each of his project, apparently.